Adrienne Harlow is owner/operator of Indy Pups, a dog walking and pet sitting company, and an event coordinator for Pub Theology. She was born and raised in Indianapolis and her family includes dad William, mom Christine, step-dad Gary, sisters Jennifer and Emily and her niece, Amaya. 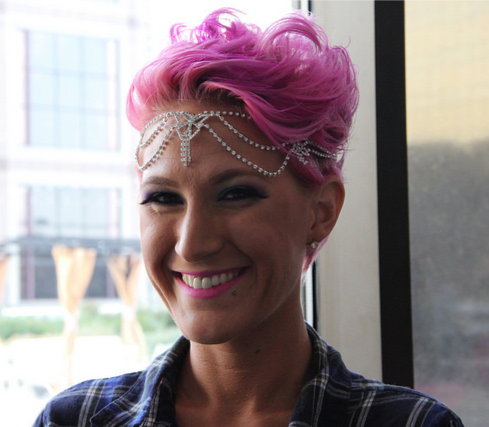 Adrienne was diagnosed with breast cancer at age 19 and is now an 8-year survivor. Due in part to her young age, she was misdiagnosed twice. Doctors said her determination to get answers saved her own life. During her treatment and beyond, Adrienne uses her story to inspire others to be their own advocate and to be persistent. Adrienne says cancer will always be in her life, but she does not let it define her. Random fact: I’m humane and compassionate to all creatures. I don’t even kill bugs. Except mosquitos.